With over 50 volunteer committees, the New York Junior League has many options available for volunteers to interact with the community. The Engagement Events committee recently hosted a Thirsty Thursday with a special Placement “sneak peek” to give volunteers a chance to interact with different committees and to learn about the work and responsibilities of each ahead of the 2018-19 volunteer year. Numerous councils were represented as volunteers were able to learn more about the different areas of the League. For those interested in Membership, they were able to learn more about the Training, Volunteer Development and Affiliation Councils. For those who wanted to learn more about Communications and Strategy, they sought out volunteers who are a part of that area. Community was represented by their Adult Education and Mentoring, Children’s Education, Child Health and Welfare, City Impact and Culture and the Arts Councils. Volunteers from the Fundraising Events area spoke on the many different events each committee hosts throughout the year from Winter Ball, to House Tour to Golden Tree. 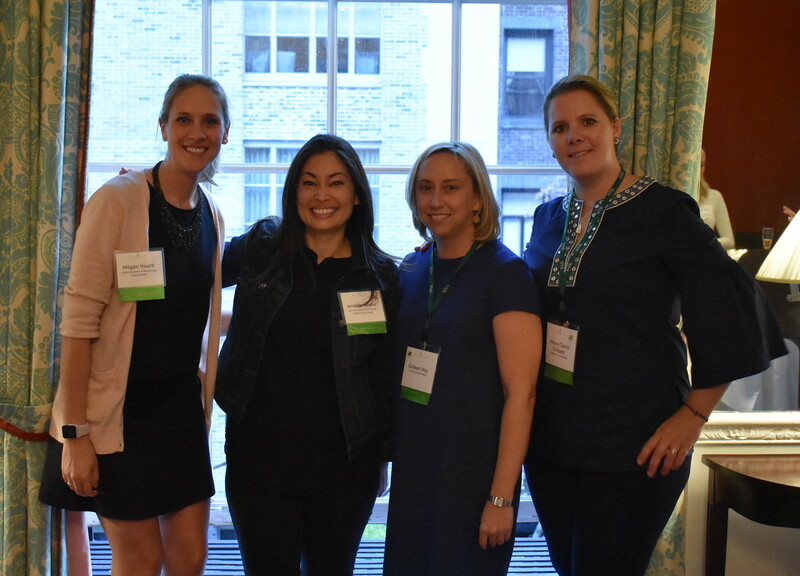 From left to right: Megan Hauck (Adult Education and Mentoring Council Head), Jennifer Wiese (Communications & Strategy Senior Council Head), Colleen Hoy (Training Council Head) and Allison Davis O’Keefe (Affiliation Council Head). Those in attendances enjoyed the opportunity to speak directly with volunteers on why they like serving on their current committee and to ask questions they had about the committee. 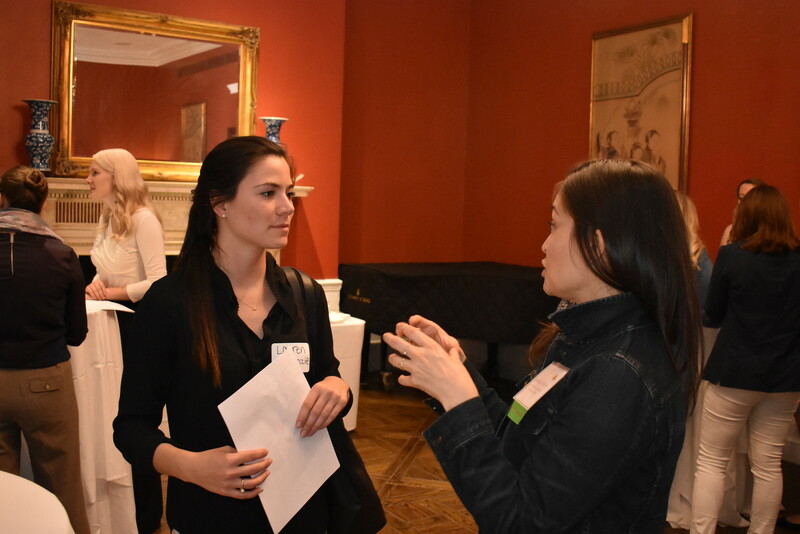 Courtney Burek, a volunteer on Engagement Events, commented that the Placement Networking event is a great planning tool as volunteers consider the upcoming year. She sees the benefit of having early conversations with potential new committees, and even more importantly, seeing what else is available for volunteer work at the New York Junior League. For current NYJL volunteers – don’t forget. Online open placement for all 2018-2019 committees is available until Thursday, May 31st. Not currently a NYJL volunteer? Be sure to attend one of our orientation sessions this summer to learn more about the amazing work the NYJL does. 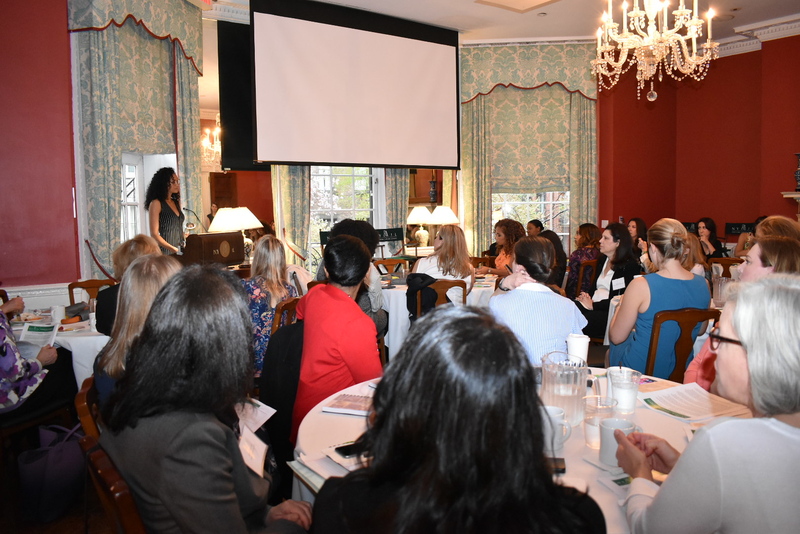 On April 25th, The New York Junior League hosted its an annual Forum for Nonprofits. This event serves as a unique training and networking opportunity for individuals who work at small to medium nonprofit organizations in New York City. 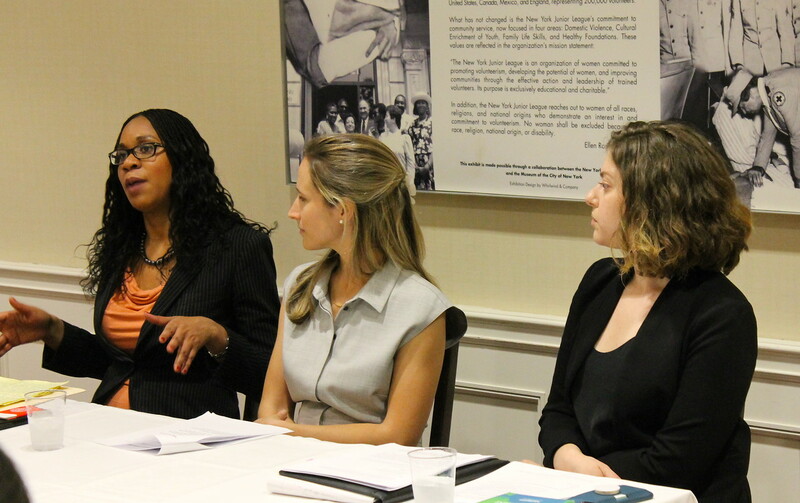 Those in attendance focused on key issues facing both nonprofits and the communities they serve. With this in mind, it is important that the members of these organization are well educated in team building, recruitment, volunteer retention and how to best utilize social media and other public platforms to enhance their presence among the people of their great city. Inclusion and knowing the value of diversity and equality within your organization is of the utmost importance. 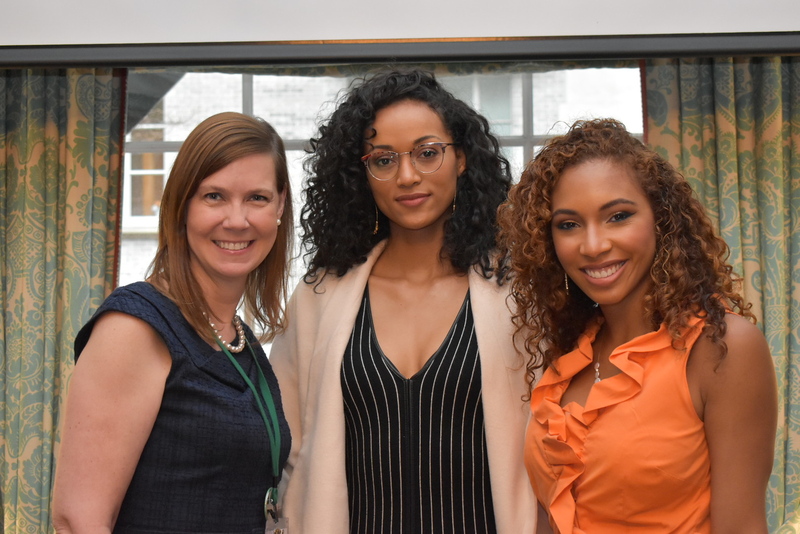 From left to right: NYJL President Suzanne E. Manning with Kára McCullough of Science Exploration for Kids and Angelina Darrisaw Founder of C-Suite Coach. For the committee’s co-chairs, Tiffany Barfield and Amanda Ingram, this year’s forum was a complete success. We were happy to see how engaged the attendees were with the theme, Impact, Innovation, & Inclusion…It Starts with I, as it proved to be timely and relevant. Attendees were able to take away valuable lessons learned and insights from other nonprofits that they will be able to implement with their organizations. Key speakers including the incoming President of the NYJL, Lauren Jenkins Chung, Kára McCullough, Miss USA 2017 & Founder of Science Exploration for Kids, Karyn Parsons, Founder & CEO of Sweet Blackberry Foundation, Anika Rahman, Lawyer and Nonprofit Contributor to Huffington Post, Sara Hart Weir, President & CEO of the National Down Syndrome Society and Allison Rogg, Philanthropy & Engagement at Bloomberg LP. 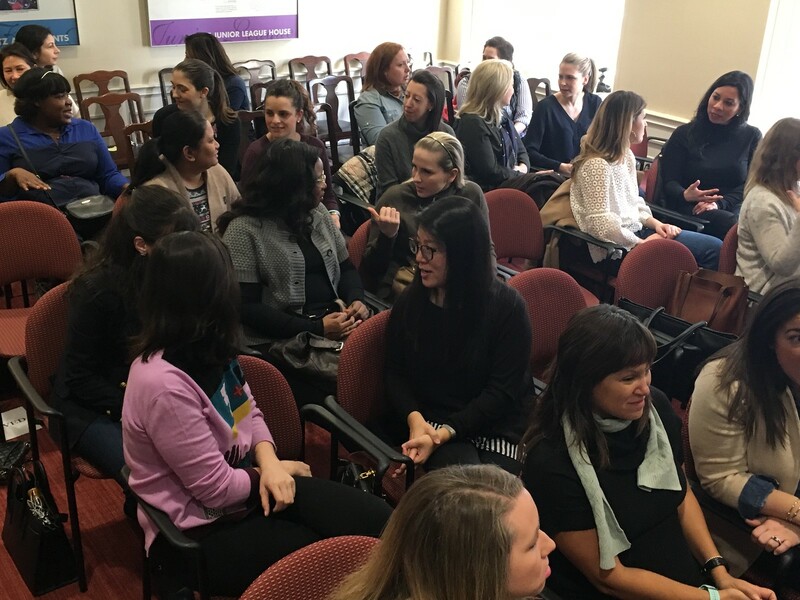 As the New York Junior League continues to strive to be the most dedicated organization of women volunteers, its committees and events like these are constantly training and updating strategies to accomplish one common goal, to impact and better the lives of those living in New York City. If you are interested in learning more about the NYJL or becoming a volunteer, please join us this summer and find out how to get involved. Last month, the Volunteer Education and Training (VET) committee presented “Preventing Volunteer and Workplace Harassment” at P.S. 6. A critical topic in today’s culture, it is important that all NYJL volunteers and the communities with whom we work know their rights and what they can do to prevent harassment. Jeffrey Landes from Epstein Becker & Green led the conversation about how individuals are protected under current state and federal laws. Under Federal Law, there are several protected classes: gender, age, race, color, religion, national origin, pregnancy, disability, genetic information, and military/veterans. New York State Law extends the protected classes to also include: sexual orientation, marital status, domestic violence victims status, conviction record, and familial status. With many of our volunteers working with job seekers to help them find their next opportunity, it’s important that we understand these protections. Armed with this information, our volunteers can educate others about these rights so they feel confident and comfortable at their new jobs. Training volunteers to be leaders in the community is an essential aspect of the NYJL’s mission. If you are interested in learning more about volunteering with the NYJL and the work we do, sign up for a new volunteer orientation today. Delivering a brilliant, memorable and interactive presentation requires a number of components: perfecting storytelling skills, selecting the right delivery method, and compiling memorable content and visuals. The Volunteer Education & Training (VET) committee hosted a training teaching attendees the skills they need to elevate their presentation skills to support their work in the communities. This VET session was an interactive workshop facilitated by Rachel Serwetz, which focused on helping participants perfect these presentation skills. In her professional career, Rachel “serves as a Coach, Speaker and Writer, waking up individuals to find their authentic purpose through her unique assessment tools, processes, and motivational mindset.” Rachel created a high-energy, engaged environment, promoting an interactive experience for the volunteers. First, the group reviewed best practices, recommendations, and the key characteristics of an effective speaker. Second, the participants split into groups and prepared presentations focused on why a prospective volunteer should to join the NYJL. The groups then presented and delivered live feedback to one another based on best practices learned at the start of the session. For example, identifying ways speakers could improve body language or eye contact. Rachel was able to give guidance throughout, which helped participants improve over the course of the event. This was a successful session that gave volunteers tangible methods to help perfect presentation skills which they will take with them to their lives personally, professionally and when volunteering with the NYJL! 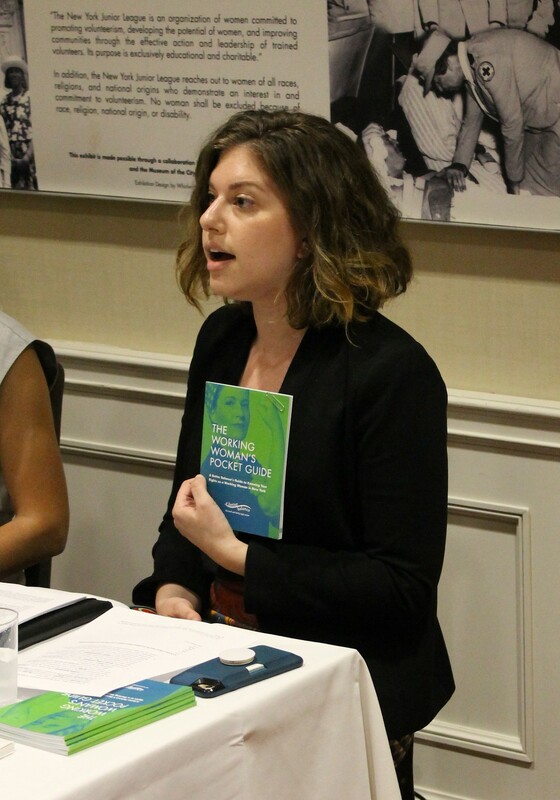 Training volunteers is a key pillar of the NYJL’s mission. Interested in learning more about volunteering with the NYJL? Sign up for a new volunteer orientation today to learn more about the work that we do and how you can get involved!